This week’s New Comic Book Day Reviews go to Luke Cage, Power Rangers and Harley Quinn. As a reminder these are only a few of the awesome comics that came out this week. Check out our other blog articles so see our thoughts on other books. Be sure to comment or share our post on Facebook or Twitter if you like our articles! SPOILER ALERT — We try to keep from posting spoilers, but one may sneak through to our reviews now and again. Read with caution, true believers. Many writers have tried to write Luke Cage over the years, though most of them have failed to give Cage a voice that is both distinctive and real. 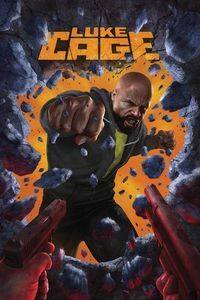 Writer David F. Walker has done both in Luke Cage #1, a comic that is one of the best interpretations of the character yet. From the very first page of the comic, it’s clear that Walker is familiar with the character of Luke Cage right down to the soul. You feel the sorrow in Cage’s voice when he learns that Dr. Noah Burstein has tragically passed away. You feel the sarcasm in his speech when he fights yet another masked villain. This comic is Luke Cage at its best. However, it’s not all about David F. Walker; Nelson Blake, who does an excellent job on the art, joins him on the title. IF YOU LOVE LUKE CAGE, CHECK OUT THE UPCOMING DEFENDERS SERIES! Man, we’re only 15 issues in, but it feels like so much more time has passed. We’ve gone way past what happened in the show, straight into alternate timelines where Tommy never broke free of Rita and destroyed the Power Rangers, both our Mighty Morphin’ variety and beyond. 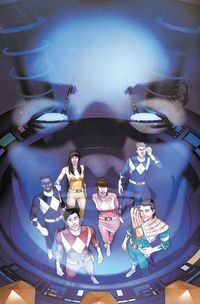 This issue tells us where Zordon has been, what he’s seen from both timelines and why he still believes in the Rangers, including Tommy Oliver. As a big Power Rangers fan. I can honestly say Kyle Higgens has been doing an amazing job throughout this series. In fact, Boom! Studios and all their Power Rangers comics have been fantastic. GET READY TO GO GO POWER RANGERS WITH BOOM! STUDIOS NEWEST SERIES COMING IN JULY! I’ve been a huge Harley Quinn fan since first seeing her debut on the Batman Animated Series cartoon. I’m also one of those fans that have loved the interpretation that Jimmy Palmiotti and Amanda Conner came up with. 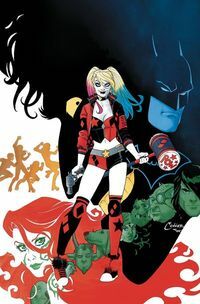 If you’ve read any issue of this run since her reinvention in the New 52, you know what to expect with Harley Quinn #20. The crazy Harley has once again found herself in a chaotic situation. Harley Sinn captures her friends, her parents are coming to visit, and someone from the future is out to kill her. Harley handles these situations in a way that only she can do, and it’s a guarantee you’ll crack up at least two or three times in this issue. The back-up story from Paul Dini and Jimmy Palmiotti is just the icing on the cake. For fans of classic ‘90s Harley, this issue is worth buying just for this story. MAKE SURE TO CHECK OUT ALL OF OUR HARLEY QUINN MERCHANDISE! What did you think of these books? What should we review next week? Let us know below! 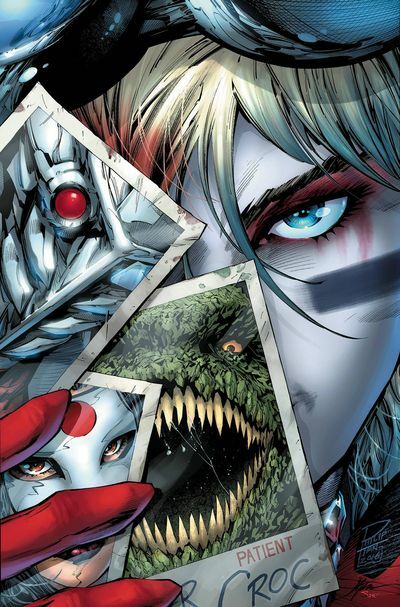 With Suicide Squad hitting the theaters this weekend, New Comic Book Day Is give you a double dose of crazy with Suicide Squad Rebirth #1, AND Harley Quinn #1! 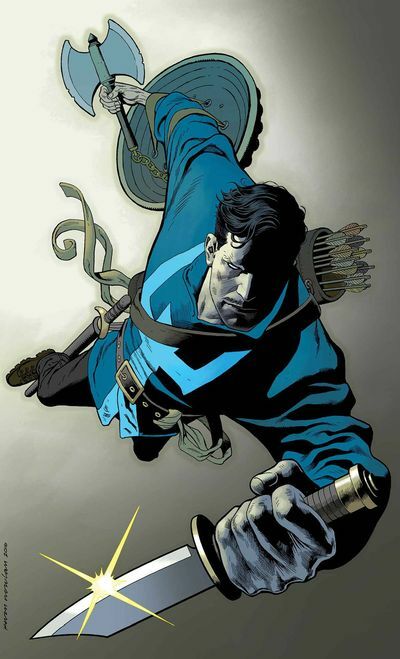 Plus Doctor Strange concludes The Last Days of Magic arc, and we talk about an amazing crime series from The Wire writer Tom King – The Sheriff of Babylon. As always these were only a few of this week’s new releases that stood out from the crowd. Check out our other blog articles to see our thoughts on other books. Be sure to comment or share our post on Facebook or Twitter if you like our articles! There is a high profile Suicide Squad movie coming out at the end of this week, and with DC’s Rebirth taking place across their publishing line, now is a hotter time than ever to reintroduce the concept of Task Force X (the Suicide Squad’s official title) and a few of those characters! We are given the purpose of the team – and a structure is formed for brand new readers hoping to jump on board. We get right into it, with Philip Tan’s dynamic artwork that screams action from the start. Wowzah! This issue is one for the books! Wacky Harley is back at it again with chaos, a good laugh and…zombies? That’s right folks, you heard me, Zombies! Jimmy Palmiotti and Amanda Connor are the creative team making this beautiful series and they use every wild card they have! 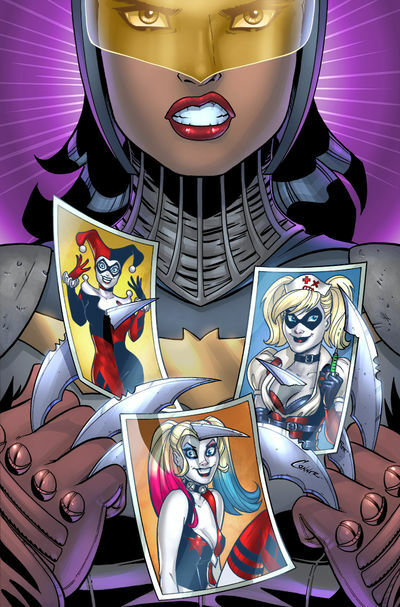 This issue is all what you need to know about Harley Quinn: Her origin, Her triumphs, and that she’s freakin’ crazy! With small references from the ongoing Harley Quinn comic, new readers shouldn’t be too confused. It’s the finale of 6-issue event Last Days of Magic. Stephen is at his end, with no magic left to help him against Imperator – who seeks to destroy all magic and leave science to rule. This finale felt like a great conclusion to the fight that Doctor Strange had been engulfed in. With help from fellow Marvel mystics and mages Scarlet Witch, Magik, and others. Jason Arron was able to create a creative, action-packed, arc surrounding the idea of Science vs Magic. The art is hard-edged and painterly, just as I would imagine Doctor Strange’s personality. 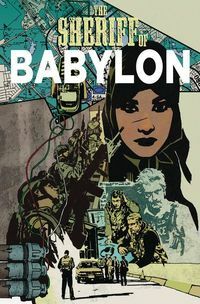 Things start to collide as the third act starts in the 12 issue story The Sheriff of Babylon. I’ve been on board this series from the start. A crime comic smack dab in the middle of the 2004 Iraq war. Written by Tom King (Batman, Vision, and the hit tv series The Wire) this well paced episodic story feels like watching a 12 part tv series. Mitch Gerads (Punisher) has been leading the way in this visually stunning noir.